3 Blocks East of the VanWyck Expwy. On the corner 142nd St. and Rockaway Blvd. 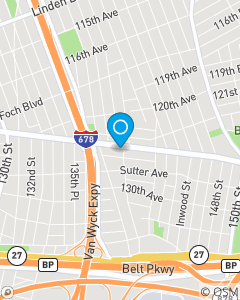 Our office in Jamaica, Queens provides our customers with great value on auto insurance, home insurance, life insurance in Queens County and surrounding. Prepare for the future with life insurance and financial services. Stop in our office and let us help you save money on insurance today!